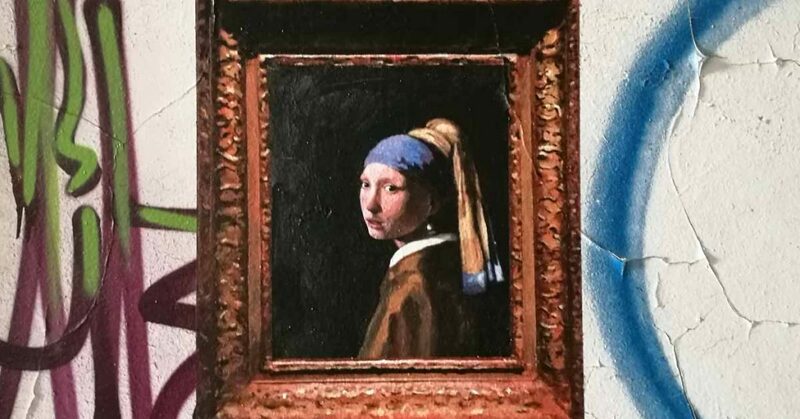 Malaga artist, 23-year-old Julio Anaya Cabanding has captured the public’s attention with his street art that depicts stunning replicas of some of the world’s most iconic paintings. 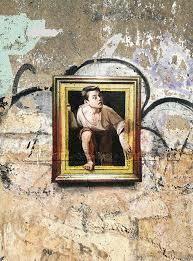 After sourcing derelict building or neglected spaces the former Malaga University of Fine Arts pupil replicates paintings by Rembrandt, Vermeer and Lucian Freud complete with their trompe l’oeil gilded frames. Having taken his talent to the streets of not just Malaga but other parts of Spain and Europe the young artist mixes his own acrylic paint in order to be as close to the original painting as possible. If you would like to know more about Julio and where you can see his art, visit, julioanayacabanding.com.